The most important thing rather than having pets is to take care of their health and wellness. Right from food to grooming accessories you have to be more careful in choosing their products for their well being. So, instead of compromising with the cost and quality you should explore what all is available on online store to find more options to choose from. There are a number of online stores selling discounted pet supplies for dogs and cats like food, beds, pet accessories,toys and many more. Not only this the pet supplies offers, wholesale deals and discounts available on this page will further make your shopping easier and affordable. Verified on 22/4/2019 .. Save huge today buy purchasing Whiskas hairball control chicken and tuna food. Dogspot is known for providing quality food for all the pets, So order today and feed your pet!! Verified on 22/4/2019 .. Buy Cat food starting at Rs 180 only at Dogspot. Get food from premium brands from varieties like dry cat food, wet cat food, cat meaty treats. Treat you Cat daily with yummy food that is also healthy!! Verified on 22/4/2019 .. Buy Dog Toys Online Your dog needs toys too in order to have fun and spend some time. We offer a wide range of dog toys to select right from chewy toys, which will keep them away from your slipper to interactive toys and also will engage them for hours at a stretch so that they don’t get bored. Verified on 22/4/2019 .. Get upto 40% discount offer on combos at Dogspot smart deals. Avail this offer on some of the best selling combinations that we have to offer are dog treats, food, shampoo & conditioner, multivitamins, etc. Verified on 22/4/2019 .. Get best deals on Spotty products. It is one of the most innovative dog products companies. Spotty specializes in developing innovative and unique dog training products that aid you while training your pooches. Verified on 22/4/2019 .. Shop for the pet health products online at Saralhealth and get best discount offers on your purchase. Here you can get flat 10% off and addition flat 5% cashback on your orders. Follow to the landing page where you can purchase and apply coupon on your checkout page to get this deal. Avail now! Verified on 22/4/2019 .. Dogspot gives upto 50% off on pet products like flea and tick solutions, bath accessories, show leashes, dog clothes, dog leashes, dry cat food, dog collars, dog meaty treats, dog shampoo, products for small pets such as hamsters / guinea pigs, dog deoderisers, dog veg treats, books, dog dental treats, dog cooling coats, brushes and combs, dog feeders, kong toys, non - tip bowls, bandanasdog training treats, retractable leashes, dog supplements, dog grooming tools, dog diapers, dog ball toys, petstages toys, etc. Verified on 22/4/2019 .. Wet Cat Food: The name says it all this is a range of cat food that is either in tin or pouch form. These are made with real chicken and sea food. These come in a gravy form that makes it palatable for your cats. You can again choose from a variety of brands available such as Royal Canin, Whiskas, Drools, Me-O, Sheba, Miglior, Hills and Finikee. Verified on 22/4/2019 .. Dogspot gives FLAT 15% OFF on a combo pack of 3 Nibbles dog biscuit pack. They contain three flavours of biscuits, nibbles carrot and milk dog biscuits, nibbles meaty dog biscuits, nibbles multigrain and oats. 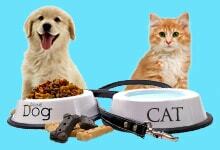 which provides high nutritional value for your pet. Avail this offer on the landing page. Ask for anything from books, clothes and food to any other accessories and you will get it all online! That’s how the online world has progressed today. So if you have been wondering where to source all your pet supplies and accessories from, you can count on the online world. That is not all. If you want to save more as you shop for the same then today you have the chance to make the most of the pet supplies offers online and get great discounts. Searching for a website that provides the best deals? HappySale is one and it has a number of deals for you to browse and select. Most importantly, today you have the pet supplies offers online that are safe and are also easy to select and activate. So if you own a cat or a dog then other than getting their staple edibles and food items you can also get accessories like pet beds, toys, chewing items, costumes, leash and many other items listed online. All the products are of good quality and they do complete justice to the money that you invest whilst activating a deal or promo code. And there is something for every budget online shopper and pet owner to select and shop from. So keep browsing. One of the main benefits of opting in for the pet supplies offer codes is that it helps you to select from some of the best brands available. If you are a dog owner then you can shop from one of the best brands such as Dogspot that has generated a positive feedback amidst it customers and have been coming up with best products at a great price as well. So as you browse for the offers listed by this brand you will find discounts of 10% to 40% on all the first orders. This is a way to woo in the first time customers. That is not all. You will also come across the promotional discounts that are over 50% and even the cashback deals that help you save more. If you want to select from the best of the pet supplies offers of the day then HappySale is an ideal place for you. Here you can read the deal descriptions and then activate the deals prior to the expiry date.